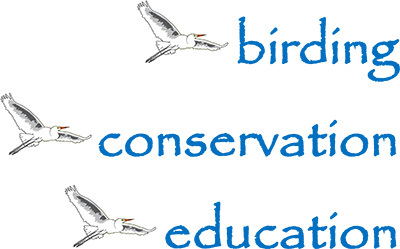 The Everglades Coalition’s annual conference is one of the largest forums for Everglades conservation and restoration. Brenda Curtis attended the meeting which brings together coalition members with business leaders, stakeholders, local, state, tribal and federal partners who engaged in meaningful discussions about restoring America’s Everglades. In the Florida Keys at its 34th Annual Conference, the Everglades Coalition of 300+ participants, included elected officials, environmental groups, members of the public, and community leaders. Keynote and panel speakers included: Congresswoman Debbie Wasserman Schultz, Congresswoman Debbie Mucarsel-Powell, Florida Senator Jose Javier Rodriguez, former U.S. Senator and Florida Governor Bob Graham, Deputy Assistant Secretary of the Army (Civil Works) Ryan Fisher, U.S. Army Corps of Engineers Jacksonville District Commander Andrew Kelly, South Florida Water Management District Governing Board Chair Federico Fernandez, Miami-Dade County Commissioner Daniela Levine Cava, Monroe County Commissioner Michelle Coldiron, and Collier County Commissioner Penny Taylor, Capt. Andrews of Captains for Clean Water, John Lai, Sanibel-Captiva Chamber of Commerce, and many Universities, Law, Conservation, Ecological, Economy, USGS, Parks, Oceanographic and Marine organizations. Several major milestones were achieved in 2018, including the nearly-complete 2.6 mile Tamiami Trail bridge project, and federal authorization of the Everglades Agricultural Area Reservoir in the 2018 Water Resources Development Act. Enact and enforce protective Basin Management Action Plans for impaired waters. Additionally, the Coalition has called for the reinstatement of strong statewide and regional land use planning to protect our remaining natural areas and guide sustainable growth to bolster our economy and communities. Former governor Rick Scott weakened septic inspections and dismantled the Department of Community Affairs, which had overseen large-scale developments impacting Florida’s natural resources, like the Everglades, for over three decades. Just days after his inauguration, Governor DeSantis has announced a significant commitment to restoration funding while also calling for the resignation of the entire South Florida Water Management District Governing Board. 2019 seems to be headed positively for improvement.